Best known for blockbusters like the action-comedy "Rush Hour" franchise and "X-Men: The Last Stand", Brett Ratner is one of Hollywood’s most successful directors. 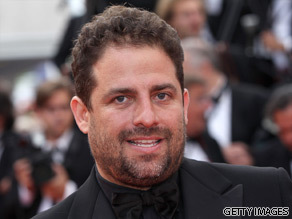 Brett Ratner is your Connector of the Day. Born in Miami Beach, Florida, Ratner attended High School in Israel, and became the youngest film major at New York University's Tisch School of the Arts at age 16. Ratner directed his first feature film just ten years later - the surprise box office hit comedy "Money Talks," starring Charlie Sheen and Chris Tucker. Since then, he's made eight feature films which have grossed over $1.5 billion dollars worldwide in a short amount of time. "X-Men: The Last Stand" opened with a staggering $123 million in just four days - the biggest Memorial Day weekend in history at the box office. Away from the silver screen, Ratner has directed more than 100 music videos for the likes of Madonna, Mariah Carey, Jay-Z and Miley Cyrus, and he's also moved into book publishing and photography. His publishing company, Rat Press, is re-releasing out of print books about Hollywood, and his photographs have appeared in "Vanity Fair" and "Vogue Homme." 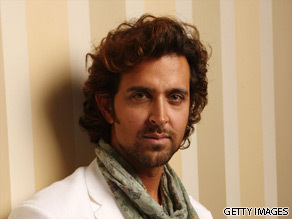 Most recently, he's edited the Indian movie "Kites" starring Hrithik Roshan and Barbara Mori for western audiences; the film will be released on May 21. With the eagerly anticipated release of "Kites", his international plaudits look set to increase as the film is about to premiere in the United States and the United Kingdom. There's even an English version of the movie entitled "Kites: The Remix" which was edited by Hollywood producer, Brett Ratner.